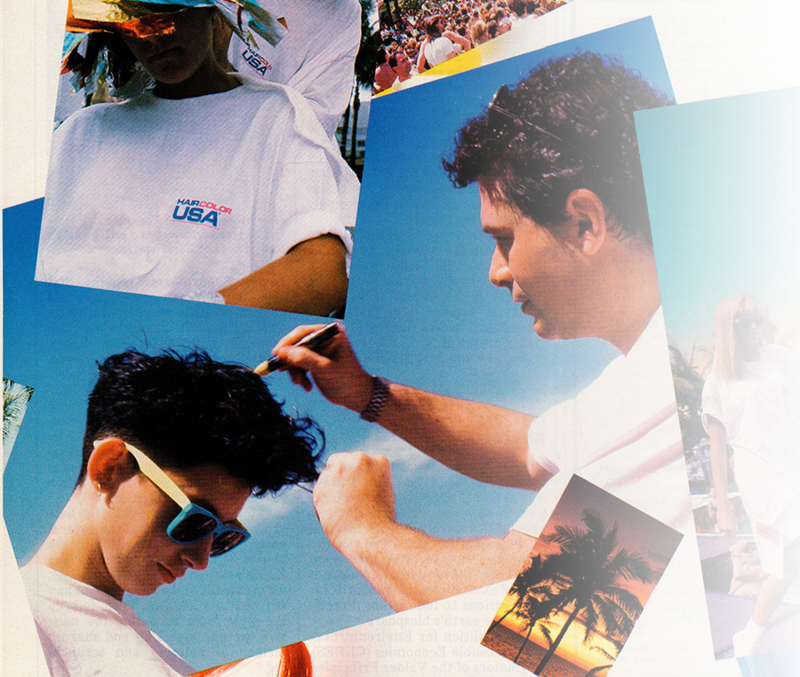 Leland co-founded Haircolor USA, a yearly world colorist seminar, in 1987, which drew more than 2,000 attendees at each event taking place at the Fountainbleau Hilton Resort in Miami Florida. This venue lasted for 15 years, revolutionized haircolor education and was a breeding ground for advancing haircolor specialization globally. As the event’s artistic director, each year along with respected, major haircolor manufacturers including Clairol/Logics, Colorly, Framesi, Goldwell, L’Oreal, Redken, Schwarzkopf, Wella and world renound, industry professional colorists, such as Annie Humphreys-Vidal Sassoon London, Tony Negron-Bumble & Bumble New York, Richard Burns-Michael John London, Andi Tart-Horst & Friends Minneapolis and Michael Stinchcomb-Yves Claude Salon New York, to name a few, Leland shared his knowledge with thousands of cosmetologists from around the world, demonstrating new color, foil highlighting and balayage techniques, further advancing the importance of haircolor throughout the industry, globally. Haircolor USA looked at haircolor not only as an art, but also as a business, providing the technical know how, precision, product knowledge and actual instruction, along with the creative inspiration for colorists to be their most creative.